From the rolling Berkshire Mountains and river valleys of the west to the coastal eastern plains, dunes, and scrub forests of Cape Cod, Massachusetts is a birder’s paradise. Nearly 500 species have been recorded in the Bay State making it one of the “birdiest” places in the nation. Massachusetts is rich in protected and preserved habitats, including 15 national parks and 143 state parks. 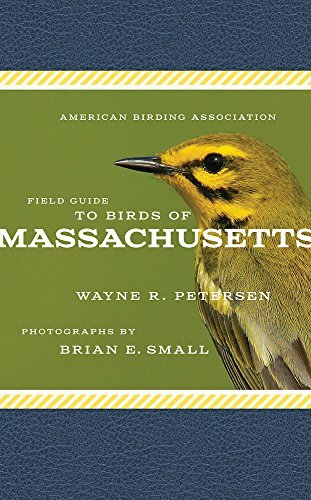 Written by expert birder Wayne R. Petersen and filled with crisp, gorgeous color photography by Brian E. Small, the American Birding Association Field Guide to Birds of Massachusetts is the perfect companion for anyone learning more about the natural history and diversity of the commonwealth’s birds and when and where to see them.